IR‑TEC offers power packs and push‑button switches for controlling the operation of an electrical device. 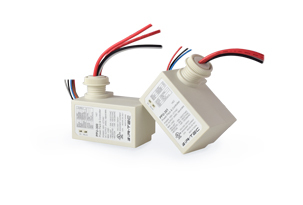 PPU‑Series PPU‑Series are power packs that provides 24 VDC power supply to low voltage sensors. 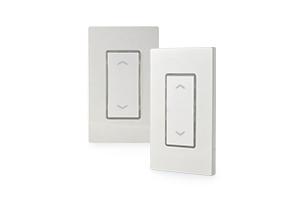 It can also accept control signals from the connected sensor to control the lighting circuits, air‑conditioners, etc. PBS‑Series PBS‑Series are push‑button switches that provides momentary contact signal for controlling the operation of an electrical device through pressing the button manually. PBD‑Series PBD‑Series are push‑button dimmer switches that provides momentary contact signal and 0-10V output to control and dim the light through intuitive button operation. 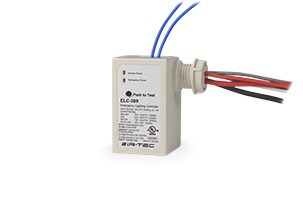 ELC‑Series ELC‑Series are emergency lighting controllers that allow the emergency lighting to be controlled as sensor set mode when normal power is available. Once normal power is unavailable, the emergency lighting will stay on using the emergency power.